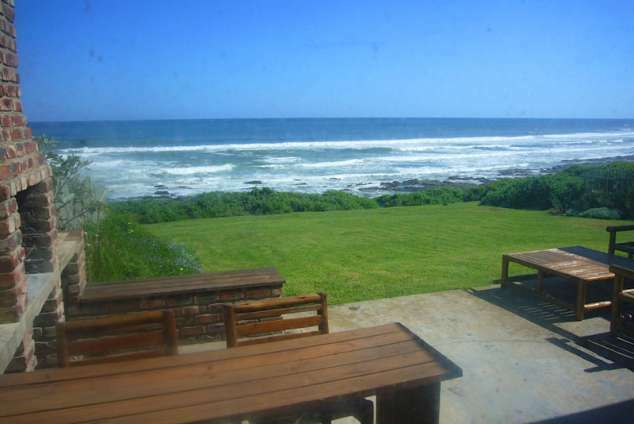 Bursea Beach Cottage - Kwelera Accommodation. 45kms from East London Airport, and 30 kms from the city. Convenient Shopping Centre with all amenities only 5kms away. A great spot for fishing, surfing, snorkelling, or enjoy a quiet stroll along the beach, or wander through the Reserve admiring the buck species, guinea fowl, and dassies sunning themselves on the large boulders. Otherwise just chill and watch the dolphins passing by, who knows you may be lucky and see a whale or two! Cottage sleeps 8-10, has 5 bedrooms, 2 bathrooms, large lounge/diningroom, separate TV lounge, huge kitchen, outside braai and seating area. 5224 page views since 22 Jan, 2015. Last updated on 20 Sep, 2018.